Located in Tarrant County, the city of Hurst, TX has a population 37,000+ people. Home to the 3rd largest mall in Texas and very close to Dallas/Fort Worth airport. 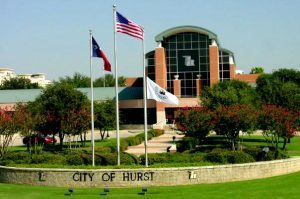 Those of us who live and/or work in Hurst, like we do, understand that it doesn’t get a lot better than this small town. For businesses targeting customers in this area, Green Jay Media understands how to generate Hurst SEO visitors to their websites. When it comes to choosing a SEO marketing company, there are both the right ways and wrong ways of doing it. One mistake you can make is trusting the Top SEO lists. This is because you might land on a company that is not really a great SEO firm. Just because you see a website get top rankings does not mean they’ve been there long or will stay long. You have to be careful of companies that use “blackhat” strategies that land you only short term rankings. The SEO niche is the most competitive in the world and when you check the position rankings long enough, you’ll often see many changes. Look for a Hurst SEO Company That Keeps Track of Data. You will be interested in a firm that not only measures all your company data but can report on it as well. Company data includes: contact forms, click through rates, phone calls, site visits and conversion rates. For the best business strategies, it is important to make decisions based on results and not instincts. Growing your presence online is about generating visitors to your website and constantly optimizing to increase your conversion rates. Being able to get social media shares helps your brand marketing but also helps your search rankings. We help with this in every way possible, from getting news about your business in main stream media news sites, producing short videos to share on facebook, writing relevant articles in your niche for your blog, to acquiring backlinks from other websites that point to yours. It’s all about getting your Hurst business more sales or leads. Reviews are one of the surefire ways to get unbiased opinions about a seo company. Reviews can be read on a company’s site or on sites such as Google or Facebook. You can request for case studies online. By conducting this, you are enlightened on what an agency is capable of. If an agency is reputable, it should be able to connect you with a happy client whom you can talk with about their satisfaction. Green Jay Media has plenty of clients you can speak with about how successful our marketing campaigns are. Just contact us for info. Do ask for a consultation. Providing you with research concerning your industry or some strategies that have worked previously, is just the beginning of understanding what an SEO company can do for you. Consultations are a way of finding out about how a team is passionate or creative. Use that opportunity to build trust with the agency. You might want to ask questions and see how they explain concepts to you. We like to meet with all of our clients, when possible. Not only does it give us a chance to learn more about your business, but it also helps to clearly define what is expected from both sides. This is something you need to define on your own, based on your current business revenue. Avoid getting into services out of your reach by first stating your budget. SEO companies often have a number of packages to choose from. Pick one that will make your life easier. Also, choose the one that is in line with your goals. Many of our clients need to start out slow and grow to a larger budget over time. Some want to go for it big right from the start. Every business is different. You need to be sure of who you pick, as partnerships are often long-term. Remember that no SEO company can guarantee overnight rankings or instantaneous leads for your targeted keywords. Some of our strategies often see top rankings within a day or two, but those are for specific search phrases that may not be exactly what you want as your main priority. Tougher keywords often take longer to achieve high search rankings. We don’t just do Hurst SEO, but all of North Texas. In fact, SEO strategies are the same no matter what location you are targeting globally. If you are a local business you can definitely benefit from Hurst SEO digital marketing. If you’re sales are mainly online and targeting national visitors, please contact us to see how you can benefit from all services we provide.